Perfect for Carrying Along the Essentials! 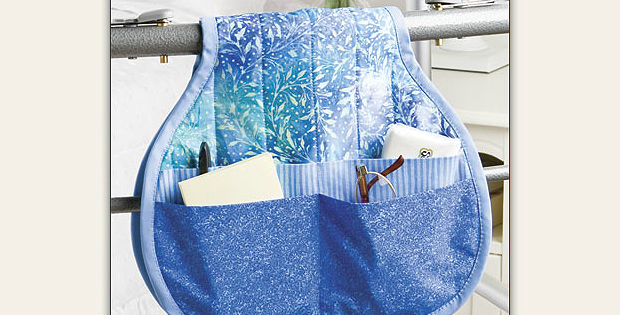 Stitch an attractive and convenient saddlebag tote to organize and carry the essentials. It’s perfect for walkers, wheelchairs, recliners and more. Choose a nice combination of fabrics in colors and styles the recipient will enjoy. You might choose plaids or other “manly” fabrics for a man in your life. Novelty fabrics (sport teams?) will be great too. Sew up the pattern as designed, or consider changing the pocket configuration to fit specific items. That’s very easy to do. In fact, the entire project is easy enough for beginning quilters. The completed tote is 12″ x 22″. 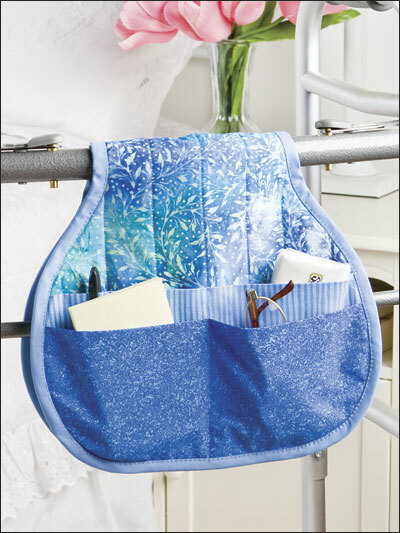 Click here to purchase the “Cheery Saddlebag Helper” pattern.